The Kids-TALK Children’s Advocacy Center (CAC) is a community-based program that serves children through 17 years of age, providing comprehensive treatment to suspected child victims of sexual abuse, physical abuse, neglect, or other forms of psychological trauma. The Kids-TALK CAC utilizes a multidisciplinary and collaborative approach to coordinate the investigation, assessment, treatment and prevention of child abuse in Wayne County. Services provided to children and their non-offending family members include forensic interviewing, advocacy, onsite medical evaluations, mental health services and outreach and prevention services. If you suspect a child is being abused or neglected please contact the Department of Health & Human Services’ Centralized Intake for Abuse and Neglect immediately at 855-444-3911. Click here for information on potential signs of abuse or neglect. Download the Kids-TALK Fact Sheet here. The Kids-TALK CAC partners with The Guidance Center, the Office of the Wayne County Prosecuting Attorney, the Wayne County Association of Chiefs of Police, the Wayne County Department of Health & Human Services, Child and Family Services, the Wayne County Office of the Attorney General, Detroit Wayne Mental Health Authority, Children’s Hospital of Michigan, Wayne State University and the medical and mental health community to reduce the trauma experienced by the child victims of suspected abuse. 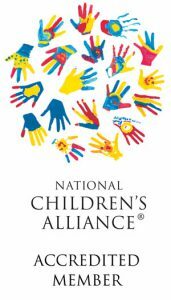 Together these partners make the Kids-TALK CAC a safe and child-friendly environment where abused and traumatized children receive the protection, support and treatment they need to heal. In 2016, Wayne County Children’s Protective Services substantiated 7,058 cases of physical, sexual and emotional abuse or neglect (Kids Count in Michigan). Of those, 4,741 were in the city of Detroit, at a rate of 27.7 per 1,000 children (Kids Count), or triple the national average. Now the Kids-TALK CAC is making a difference to give children the support they need to heal. The CAC’s comprehensive multidisciplinary team is dedicated to minimizing further victimization and trauma to children by coordinating collaboration among the multiple agencies involved in child abuse investigations, providing expert medical evaluations and trauma-focused mental health treatment, conducting research and preventing child abuse through community outreach and education. In 2016 the Kids-TALK CAC provided services to more than 2,120 children and their families. There is no single source of funding for CACs, and we receive an average of 50 percent of our funding from private donors. In order to sustain the Kids-TALK CAC it is imperative that we receive financial support from individuals and organizations. To make a contribution to the Kids-TALK Children’s Advocacy Center please contact Jean Wloszek at 734-785-7705 x7825 or jwloszek@guidance-center.org. Or download our wish list to see what supplies our CACs would benefit greatly from. Please click link for updated Wayne County Case Management Protocol for Child Abuse and Neglect. This Protocol was first developed in 1991 due a recognized need that child victims of abuse and neglect required a different intervention approach than adults and a need for greater coordination of services from involved agencies. It serves as a road map for all of the disciplines that are involved in allegations of child abuse and neglect in Wayne County and provides a helpful reference of roles and responsibilities.